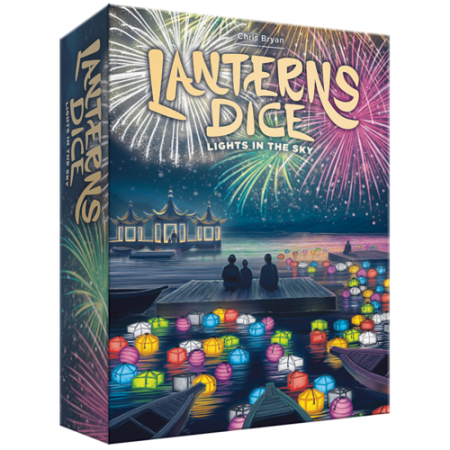 Lanterns Dice: Lights in the Sky, the sequel/spin-off of the hit seller Lanterns: The Harvest Festival is available for pre-order from Renegade Games and expected to release in May! 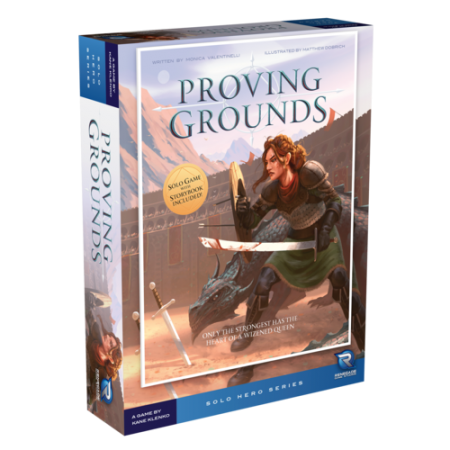 Proving Grounds, releasing from Renegade Game Studios, is a real-time solo dice game from the creator of FUSE and Flatline. It merges narrative and gameplay in a brand-new way. In this box, you will find a novella, Only the Strongest Has the Heart of a Wizened Queen, written by Monica Valentinelli. This sweeping story sets the stage for the events of the game. Read the story of Maia Strongheart as she fights to ascend to the Sun Throne. Then, recreate her extraordinary battle! 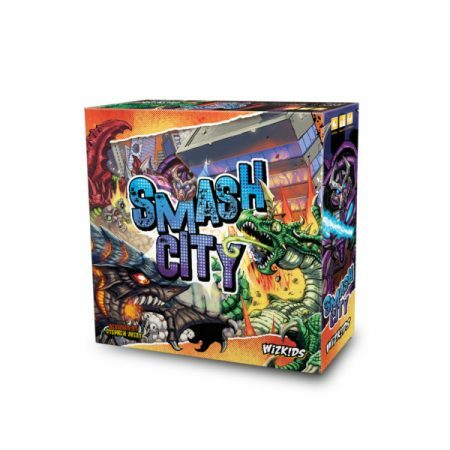 WizKids is pleased to announce that its new building-toppling, car-throwing, city-crushing dice game, Smash City, is coming soon to North American Game Stores! The game ends when a monster reaches its last life point. The player who has the most Power Up tokens at the end of the game is the winner. 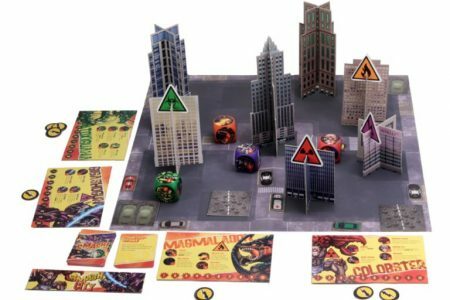 With 4 unique monsters including the terrifying Toxiguana and the monstrous Magmalodon, Smash City will fire players up as they cause chaos and destruction in a battle to the death. Smash City is coming soon, so be sure to pre order it at your Friendly Local Game Store or online today! 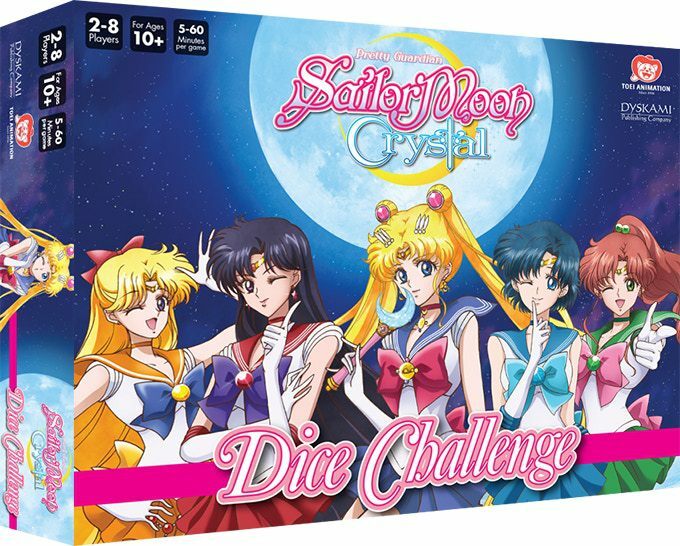 Dyskami Publishing Company announced that they are now accepting website pre-orders for its upcoming tabletop game, Sailor Moon Crystal Dice Challenge. Dyskami previously disclosed that it had entered into a North American licensing arrangement with Toei Animation Inc. to design and distribute a diverse line of dice games and board games based on the popular Japanese animation series, Sailor Moon Crystal, and Dice Challenge is Dyskami’s first release in the line. Sailor Moon Crystal Dice Challenge is scheduled to ship and release in May 2018. 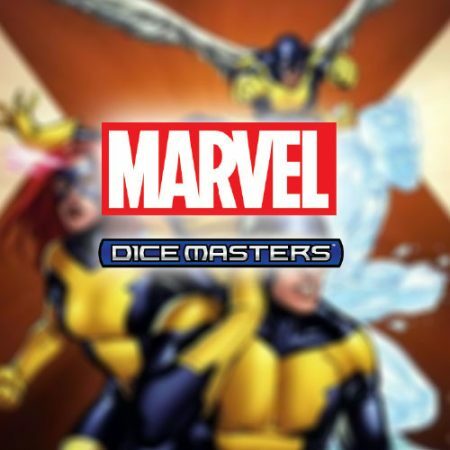 Marvel Dice Masters: X-Men First Class Available Now! See the Brotherhood of Mutants like never before in Marvel Dice Masters: X-Men First Class! Explore mutant heroes and villains from other realities as seen in the pages of What If? Marvel Dice Masters: X-Men First Class from WizKids features multiple rosters of X-Men from Xavier’s first team, to the Giant-Size X-Men lineup, to the Exiles! See the Brotherhood of Mutants like never before. Explore mutant heroes and villains from other realities as seen in the pages of What If? Each Marvel Dice Masters: X-Men First Class Foil Pack contains two cards and two dice that players can add to their Dice Masters collections! 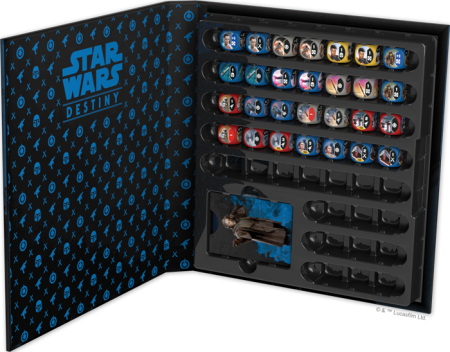 Introducing more than 30 heroes and villains (and their dice! ), Marvel Dice Masters: X-Men First Class will be sure to graduate your Dice Masters collection! 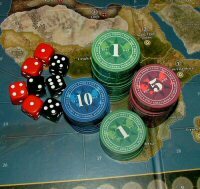 Since Awakenings was released in 2016, Star Wars: Destiny has grown and evolved through Spirit of Rebellion and Empire at War. Players have engaged in duels with characters spanning the entire Star Wars saga. Now, it’s time to find a different path to your destiny. 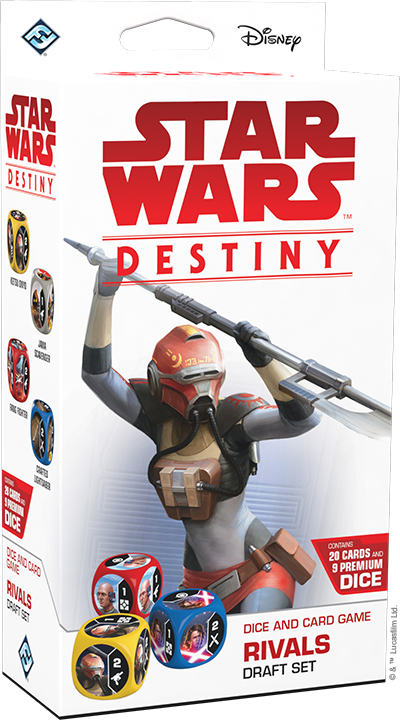 The Star Wars: Destiny Rivals Draft Set introduces a new way to play Destiny in the form of draft and sealed events. 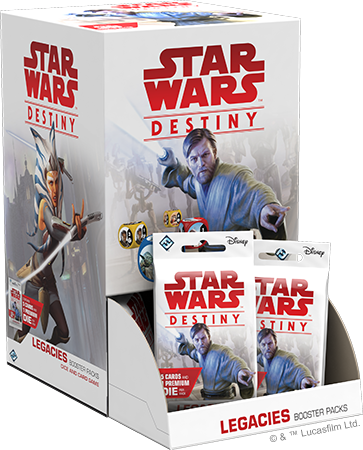 Playing in a draft requires each player to have one Rivals Draft Set and six Star Wars: Destiny booster packs of any set. 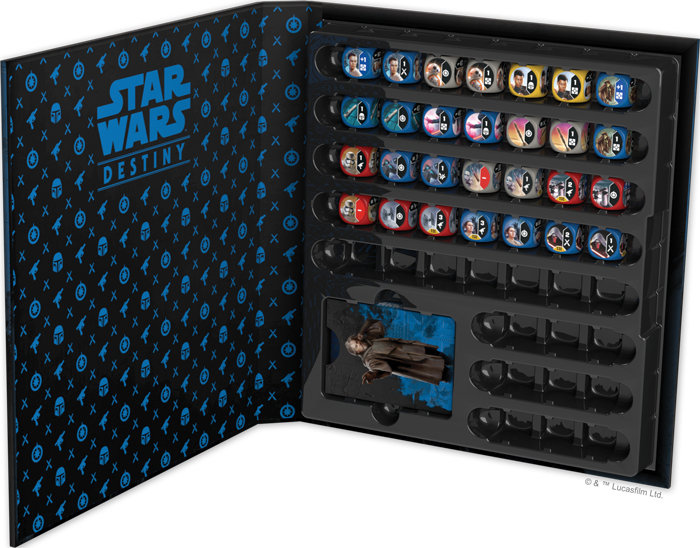 What’s more, the cards in your Rivals Draft Set are completely reusable—no matter how many drafts you play, you’ll only ever need to buy a single copy of the Rivals Draft Set to enable your draft games of Star Wars: Destiny! 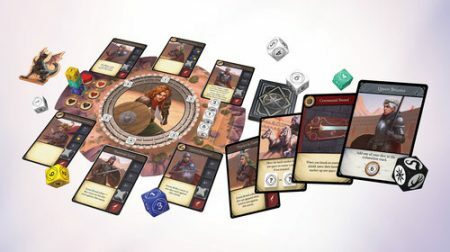 You can pre-order your Rivals Draft Set at your local retailer!